“Speak to the children of Israel, and say to them: ‘When any one of you brings an offering to the Lord, you shall bring your offering of the livestock—of the HERD and of the FLOCK. and the priests, Aaron’s sons, shall bring the blood and sprinkle the blood all around on the altar that is by the door of the tabernacle of meeting. And HE SHALL SKIN THE BURNT OFFERING and cut it into its pieces. The sons of Aaron the priest shall put fire on the altar, and lay the wood in order on the fire. Then the priests, Aaron’s sons, shall lay the parts, the head, and the fat in order on the wood that is on the fire upon the altar; but he shall wash its entrails and its legs with water. Now we come to the Bullock Offering. No pun intended, there is a LOT OF MEAT in this passage! Being larger than any other sacrificial animal, when it was killed, THERE WAS A WHOLE LOT OF BLOOD! Both the lamb or goat offering and the bullock offering have many things in common. But there are several key differences in the offering of this animal. Like the lamb or goat, the offerer himself kills the animal on the North side of the altar. 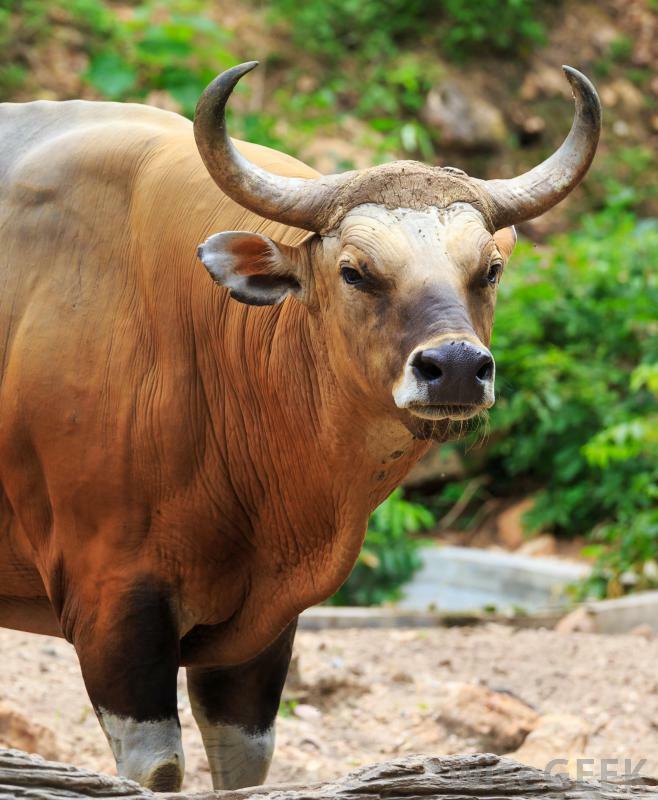 But…..in the case of the bullock, before it is killed, the worshiper lays his hands on its head before he kills it. This is a picture of a Christian who identifies his sins as completely taken away by the blood. As in the case of the lamb or goat, the priest removes the entrails and the legs, and washes them with water. He burned the head and fat on the altar after pouring all the animal’s blood all around the altar. Here’s another important distinction: The Priest removes the animal’s skin or hide. Why is that significant? Let’s take a little trip back to the garden where skins are first mentioned. The first time animal skins are mentioned in the Bible is all the way back in the garden, right after man fell. You remember, no doubt, that they covered themselves with fig leaves, but God killed animals and made coats of “skin” for them. The bullock sacrifice depicts believers who have a BIG revelation of Jesus and a BIG appreciation of the blood. They KNOW that they are the righteousness of God in Christ. They KNOW that ALL their sins for their entire life are cleansed. They also KNOW that because of their right standing before God, as they walk through the life, when they fail, they understand they are COVERED by Jesus’ righteousness. This is REPRESENTED BY THE ANIMAL’S HIDE OR SKIN. They KNOW unequivocally their sins are NOT IMPUTED TO THEM. As they walk through life and occasionally fail, the blood of Jesus COVERS THEM as a garment of skin. This gives the believer peace and rest! This offering depicts Jesus’ death. Notice it is mentioned BEFORE the Grain offering, which comes second in the order of God’s book. Seems backwards, doesn’t it? You and I usually think of life first, then death. But not the Father. He listed it first. Why? Because it is MOST IMPORTANT to Him and dearest to His heart. Jesus’ death made a way for us to become His family! God sees us in the perfection of His Son. You and I, on the other hand, when we come to God, we approach Him from the opposite direction: In our trespasses and sins. In other words, via the sin and trespass offering. The sin offering depicts what we “ARE,” while the Trespass offering represents what we “DO.” These two offerings will be discussed in detail in parts 8 & 9 of this series. Did you notice that God, in His instructions for the tabernacle, also He starts opposite of us (from the inside out) with the Mercy Seat? Yep!…and for the same reason. To the Father, Jesus, i.e., the Mercy Seat, is nearest and dearest to His heart. You and I come to Him in our trespasses and sins, via the outer court and the bronze altar. We then get saved and cleansed of all our sins. Now have peace with God. Now we can BOLDLY enter the Holy of Holies. 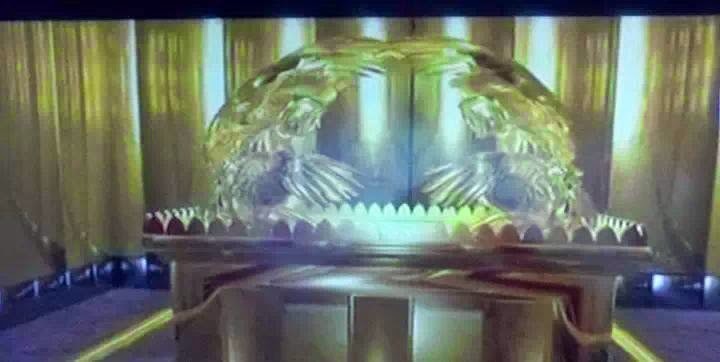 Under the Old Covenant, there were two parts to the tabernacle proper: The Holy Place and the Holy of Holies, pictured above. They were separated by an 8″ thick veil. Today, there is only one big room: The Holy of Holies because the veil is gone! HALLELUJAH! Around the Mercy Seat, now there are 48 upright, equal-shaped boards of acacia wood, covered with gold with no separation in between. All of these acacia wood boards covered in gold are seated in silver sockets facing the Ark: Jesus. You read in part 2 that Abel actually offered the very first ascending offering, though the Holy Spirit does not specifically call it that. The word, “Olah,” doesn’t appear until after the flood when Noah offered his offering. Why is scripture silent here? Because it was in Noah’s day that God unleashed judgment on the whole world. It is a picture of the judgement He unleashed upon Jesus at the cross. When all God’s righteous indignation was spent, i.e. when the waters of the flood receded, it signified that Jesus, through His sacrifice, had exhausted all of God’s judgments against us. It was FULLY SATISFIED. THERE IS NONE LEFT. In the story of Noah’s flood, The Holy Spirit highlights this one event: The Burnt Offering and the Rainbow. It was God’s promise that He would never again “rain judgment” on mankind once Jesus offered Himself on our behalf. The lamb was to be “wholly consumed,” completely burned up to “Ashes” signifying that “Jesus wholly consumed ALL THE JUST JUDGMENTS OF GOD” in His own body, paying IN FULL the sin-debt we incurred. Remember, God is outside time. To Him, there is no past or future; only “NOW; the PRESENT.” So when He says, “ALL your sins are put away,” He means ALL. Though this event would occur in the distant future, in God’s “Time Zone Of NOW,” He smelled this same “sweet savor of rest” in the offerings of all the Old testament saints. It brought to remembrance Jesus’ sacrifice, giving rest to His heart. That’s how it benefited God and man as well. He is not holding our sins against us but sees us clean and righteous in Christ. He has a judicial or righteous foundation to BLESS HIS PEOPLE! How To Offer The Burnt Offering. Want to really get Gold’s attention? Learn to offer your own Burnt Offering. How do we do that? Every time God is reminded of Jesus, your Burnt Offering, blessings come down on you and your family. He loves to be reminded that He promised He “Remembers your sins, your iniquities, and your lawless deeds NO MORE!” He loves it! Remind Him often! This offering was made every morning and every evening. You and I can do the same thing every morning and evening by coming to God in Jesus’ Name, reminding Him of How precious, how perfect, and how beautiful Jesus is to Him. What He did on the cross was for you and for me, not Himself. It brought rest, delight and great pleasure to God’s heart. It still does! HALLELUJAH! Thank you, Jesus, for being our BURNT OFFERING!